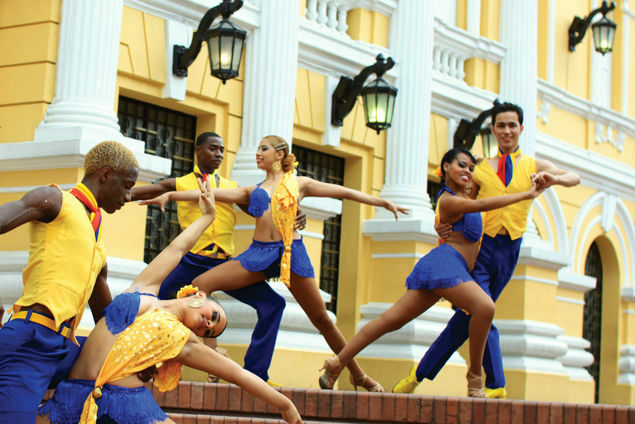 Traveling is the perfect way to enjoy salsa dancing. In day-to-day-life, there are plenty of excuses standing between you and your salsa goals. It can be hard to take time out of your week to stay up late and go dancing — especially if there’s a learning curve. But when you’re on the road, you’re mood is elevated and you’re open to trying new things. Plus, you have more time. So where in the world should you go if you are looking for a salsa-filled vacation? Much like any language, the dance varies from place to place, but salsa fever seems to be spreading to all parts of the globe. If you’re looking for an international salsa journey, chances are you can find what you’re looking for in major cities on pretty much every continent. For starters, Santiago de Cali, or Cali for short, was the city that came up most often when searching for prime salsa vacation destinations. Widely known as the salsa capital of the world, the city was bestowed this unofficial title by salsa radio DJ’s in the 80s, according to Esme McAvoy for The Guardian. As with many South American cities, Cali has European, indigenous, and African cultures — and the African influence gives the local salsa scene a unique flavor. One indication of Cali’s standing as one of the hottest salsa destinations worldwide? The fact that the city’s performers take home piles of trophies at international salsa competitions. And, says McAvoy, the city has nearly 200 salsa schools and more than 80 salsa orchestras. NYC seems an obvious choice given its diversity, claim to fame as THE salsa origin city, and sheer size. Indeed, it comes up repeatedly in response to a query about best salsa cities on Dance-Forums.com. LA has also been hailed as offering the best of the best when it comes to salsa — essentially the west coast version of NYC’s salsa origin story, with its own style of dance (salsa On1) and festive southwestern culture, which I adore. But then there’s Miami, or really, all of South Florida. The warm, tropical climate is perfect fiesta fodder, and its reputation as a vacation spot attracts travelers from the US, Europe, and South America. Some runners up: DC, San Francisco, Atlanta, Boston, Houston, Tucson…and I’m sure I’m missing a few! Narrowing down the best salsa cities in the US has proven difficult — nay, impossible. Maybe you can help me out? Tweet or email me your thoughts! I’d love to hear them. Of course, Cuba has to be included in this list. Home city of Celia Crúz, salsa sensation, as well as to the cuban són, one of salsa’s parent dances, Havana tiene el ritmo. When traveling to Cuba for a dancing vacation, be prepared to confront the Cuban version of salsa known as Casino. One basic difference is the rotational style of the dance — much different than just dancing back and forth, as in New York- or LA-style salsa. Mirha Masala for the Spinoff Project wrote about her experience salsa-vacationing in Cuba and mentioned something I’ve heard before about Cuba travel: don’t expect the Internet to function! This comes into play when you’re frantically trying to learn Casino after already arriving in Havana. This one may come as a surprise, but it’s true — the Brits love salsa! According to a related thread on SalsaForums.com, people in London are generally more welcoming than they tend to be in Paris, a runner-up to London in terms of salsa popularity. When I tried to fact-check these claims, what I found instead were pages and pages on Google of London salsa bars, clubs, and events — a sure sign that regardless of how it subjectively compares, there is definitely a lot going on there in terms of activity. And if you’re looking for a great salsa movie about the British salsa-dancing scene, check out Cuban Fury. It’s on Amazon. Yeah, I know — it didn’t get that many stars. But I thought it was delightfully entertaining. It made me want to dance!